Cool, didn’t know you could select it from VS2012! Thanks for this article as it has got me one step closer to what I would like to do. I would really like to use F# for exploratory programming in SharePoint but I cannot get it off the ground. I seem to have F# version 3.1. System.PlatformNotSupportedException: Microsoft SharePoint is not supported with version 4.0.30319.18444 of the Microsoft .Net Runtime. It should work with SharePoint 2013, but SharePoint 2010 does not allow connections from .NET 4.0+ runtime, so you cannot use latest version of FSI =(. When I have tried to use F# for SP I ended up with F# console app and compilation to .NET 3.5. 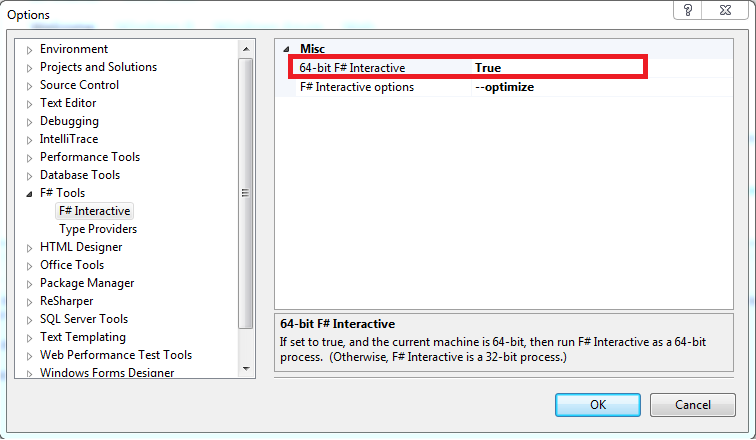 It allow you to use latest version of F#, but without FSI. Sergey – many thanks. I am on 2010 and do have VS 2010 installed also. When I get into work tomorrow I will install that version of FSI if it is not already on my machine. I did find 2 FSI.exe though not a second FSIAnyCPU.exe.